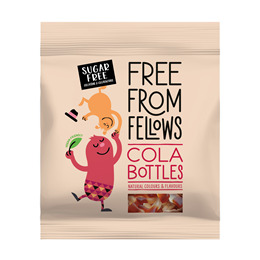 These cola bottle shaped sweets are Free From Fellows` take on an all-time classic. Made without sugar or gelatine, making them suitable for both vegans and vegetarians. Sweetener: maltitol syrup; maize starch, water, acid: citric acid, natural flavourings, vegetable oil (coconut & rapeseed), glazing agent: carnauba wax; colour: ammonia caramel; sweetener: steviol glycosides. 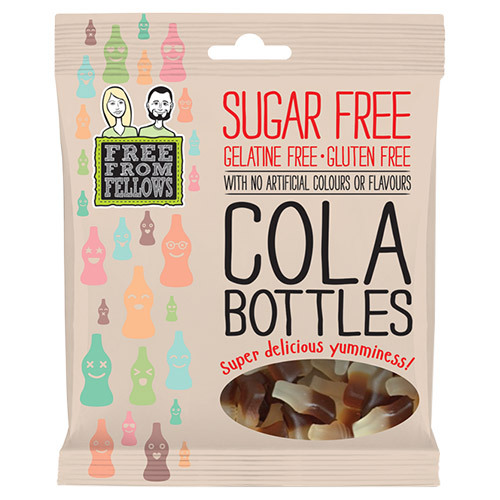 Below are reviews of Free From Fellows Cola Bottles - 100g by bodykind customers. If you have tried this product we'd love to hear what you think so please leave a review.